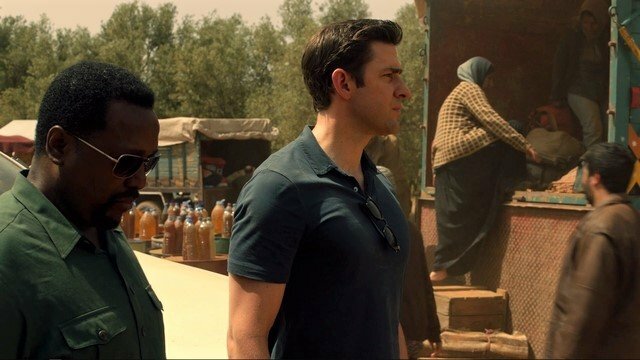 In the previous episode of Amazon’s Tom Clancy’s Jack Ryan, Jack and Jim flew to Turkey, and Hanin paid a man to smuggle her and her daughters to Europe. 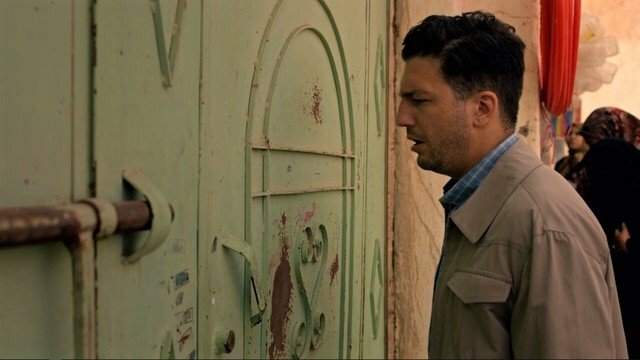 Jack Ryan season 1 episode 6 began with a Suleiman flashback. Six months earlier, Suleiman and Ali dug up a body contaminated with Ebola. They wore hazmat suits and sprayed their suits with bleach afterwards. A man who helped them filled the hole without a suit. Cathy examined samples from an Ebola patient in Liberia, Samuel Edeke. She believed he had a form of Ebola resistant to antibiotics, EVD-27, that was supposed to have been eradicated. Samuel Edeke was the one to fill the hole. Hanin and her daughters traveled in the back of a truck with other refugees. The truck stopped at a makeshift rest stop for smugglers. Yazid was waiting for them and searched the latrine. She was ready for him and hit him on the head with a rock. Hanin and her daughters fled on foot. Lance picked up Jack and Jim at the airport in Turkey. He introduced them to Tony, an influential man who had ties with the refugee smugglers. They agreed to payment before and after recovering Hanin. Jack clearly didn’t like Tony. Tony took them to the rest stop. They discovered that Hanin had been there, and she was heading to the coast on foot with her daughters. Tony knew a shortcut through someone’s property. He planned to pay the guards, but he killed them when they asked for too much. Soon, they were at the coast where hundreds of refugees were boarding boats to escape. Hanin and her daughters were there, but Yazid had already found them. Jim killed Yazid since he would only let them take Hanin and not her daughters. Back at a US military base, Jack urged Hanin to help them. She and her daughters couldn’t stay in the US if she didn’t provide information. She insisted she didn’t know Suleiman’s plans. Jack wanted her to point to Suleiman’s compound on a map. Hanin hesitated because Samir was still with him. Jack could not promise his safety, but he promised that he was her best chance. While on leave, Victor traveled to Turkey. He paid a taxi driver to take him to the village in Syria where the man on the Vespa had lived. Victor met the man’s father, who didn’t speak English. The father invited him inside and made him tea. Victor tried to communicate that he had killed the man’s son. He brought his Las Vegas winnings to give to the man, who refused it. His grandson came in to sell Victor eggs, and he bought them all with the winnings. Victor left without the eggs. Jim told Jack about what happened in Karachi. He tried to turn the deputy chief of staff of the Pakistani army. He would have been an important asset to the CIA. Despite having all the right signals, the potential asset was nervous and had suddenly changed his mind. He threatened to imprison Jim. Then Jim stabbed him, and he died. This angered the Pakistani government and got Jim assigned to T-FAD. Jim told Jack that he had to make compromises to do things that matter. Jack didn’t believe that. What did you think about Tom Clancy’s Jack Ryan season 1 episode 6? Let us know in the comment section below! 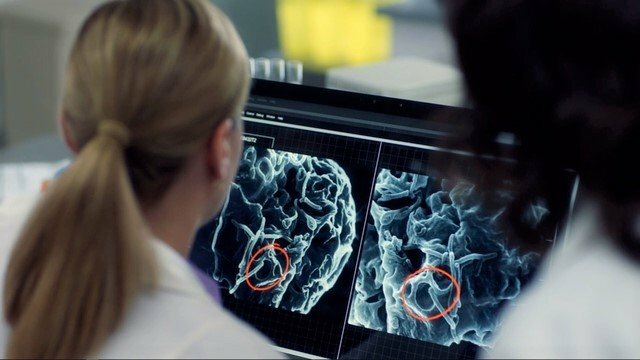 The post Tom Clancy’s Jack Ryan Season 1 Episode 6 Recap appeared first on ComingSoon.net.